Need Help to Get Divorce? 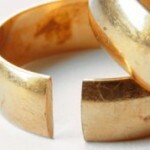 I need to get a divorce filed against my husband for various reasons but do not have the money for an attorney. Wife filed divorce papers and in the process, left me unemployed and homeless and am trying to respond to filing to attempt to obtain spousal support to help fill in the gaps while I reestablish my life and find stable housing and employment. Stay at home mother with special needs child . Need a divorce from husband have no income. Need help getting a divorce have 3 kids and an primary care giver to the special needs child. Would like to stay in the home and not have to move after divorce.